Today was a perfect day to practice the “time-boxing” technique I use for makeovers. I worked on this as I headed to Northampton to teach a Tableau Fundamentals course for a customer. The train journey from Euston to Northampton is 57 minutes, and I completed this makeover in 42 minutes. Ok, here we go. 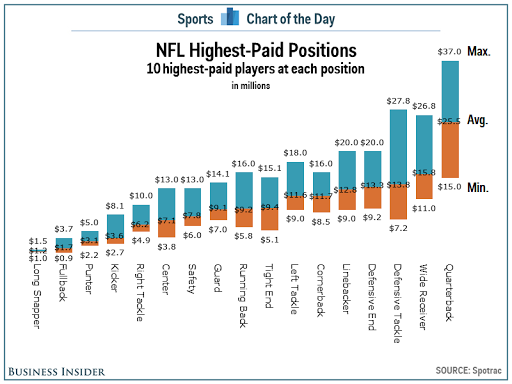 First, the chart to makeover today was by Cork Gaines of Business Insider. The labels are vertical, making them harder than necessary to read. 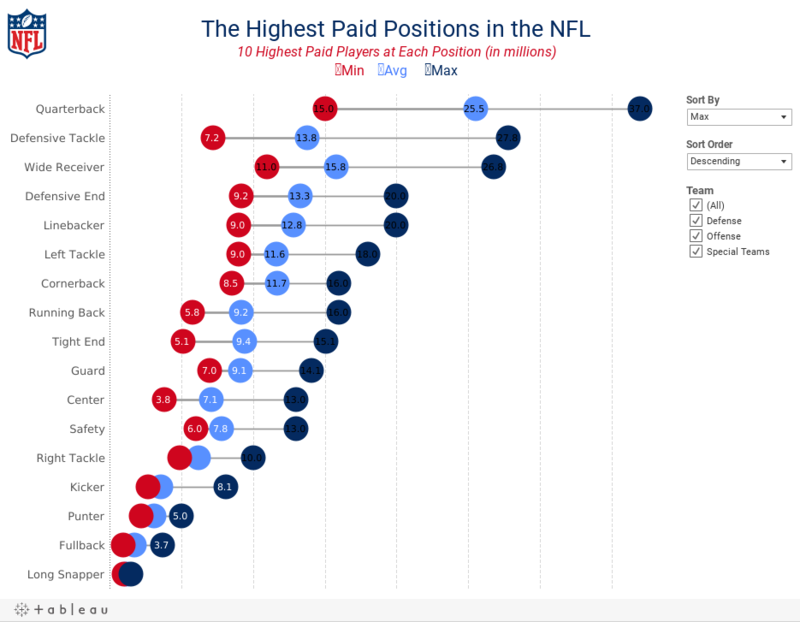 It took me a while to understand the sorting; the chart appears to be sorted by average salary. 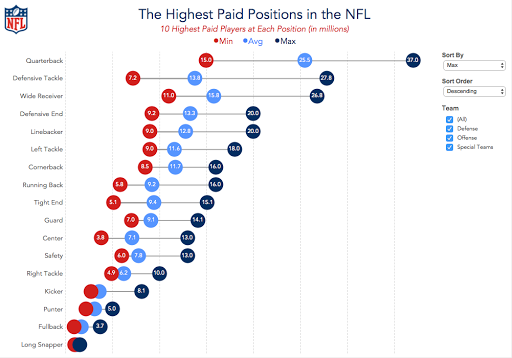 The salaries are only for the top 10 in each position, which means the min, avg and max are all relative to those 10 players. The labelling feels like it’s cluttering the chart. This was a pretty simple and quick makeover that I feel provides a much more meaningful and insightful visualisation. First of all, congratulations for all your help and work already did helping people to know better Tableau. You have done a great work. No question about it! I have learned a lot from you. Any chance that you can explain step by step (or by a video) how do you get this visualization done? I would really appreciate if you do this because knowing how to get this visualization will help me a lot in my present and futures jobs assignments.